provides for structural budget reforms, like a state government spending cap and a state government bonding cap. Suzio, who serves on the legislature’s Finance, Revenue and Bonding, represents Cheshire, Meriden, Middlefield, Middletown and Rockfall. He can be reached at Len.Suzio@cga.ct.gov or call 800-842-1421. 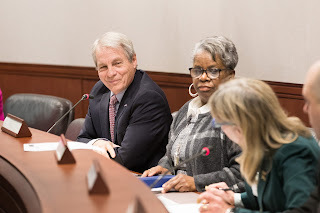 A summary of the updated “Confident Connecticut” budget is available at www.SenatorSuzio.com . Line-by-line budget details are available at www.ctsenaterepublicans.com.